A subscription box is a way to offer customers an easy way to shop unique products on a monthly basis. It's a great way for people to get items from a different niche like coffee, beauty items, craft supplies and more! If there’s an existing community around a product or category online, chances are you can build a subscription box around it. 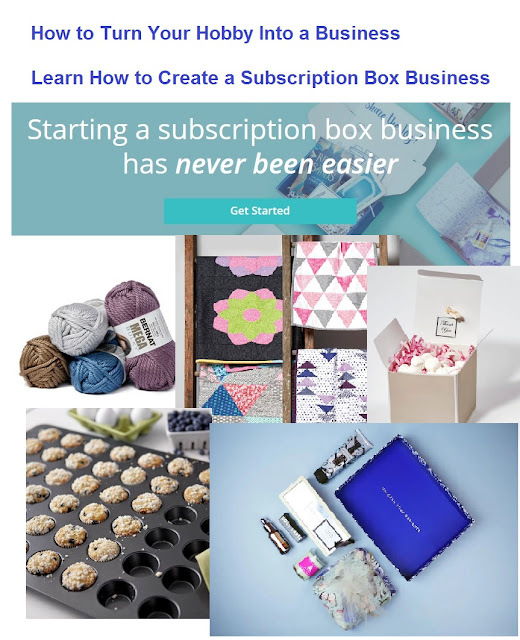 Here's How to Start Your Own Subscription Box - it's easy to do with the right tools, get a website, find easy ways to accept payments, get help with marketing, shipping, ecommerce tools and support. Some of the fun boxes they offer that you can check out our bath items, candy, hair bows, fabrics, garden supplies, scrapbook and stickers, jewelry items, crafts, kids activities, office fun, coffee items, and more. Get creative and make your own monthly box to sell. Check out the Subscription Box Marketplace for more ideas. How to get started building a subscription box ..
You can start your own Subscription Box Learn How to Here. Everything starts with a great idea! A good idea comes from something that is unique and comes from a strong business idea. A niche is best understood as a small market for products and services. This could come from your hobby or something that you enjoy yourself. It could be from your love of food, beauty items, jewelry, baby products or any other niche market. A good example is shown below in the Breakdown of starting a food-focused subscription box business. Learn the market for your niche. Try and find resources and competitors in your market and study what they have done to succeed. Ask family and friends what type of subscription boxes that they would be interested in. Create a blog and social media sites around your niche and find what people are looking for. A great way to test your box is to assemble a Prototype box. Build a buzz around your product. Launch information pages, articles and blog about what you are doing.